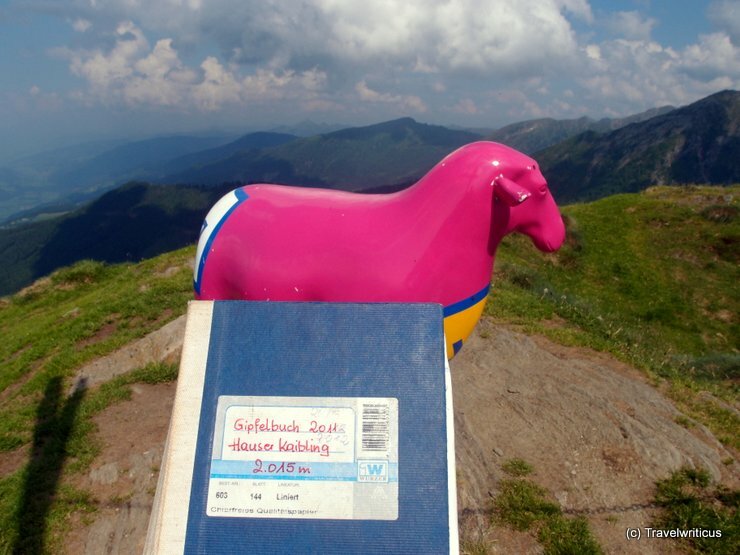 Only a pink sheep was witness: After a small climb I enrolled myself into the summit register (Gipfelbuch) of the Hauser Kaibling. Speaking about sheep: There is an interesting theme path about those animals around the summit. 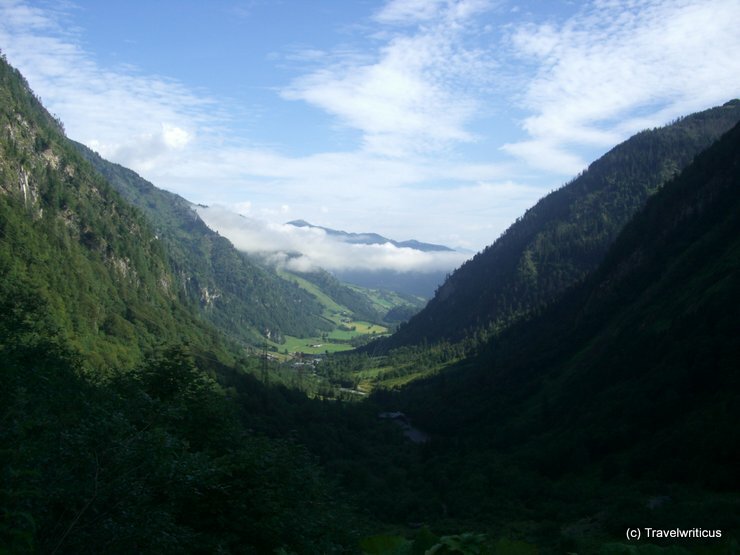 I am often tweeting while being on a train of the Semmering Railway (Semmeringbahn) in Austria. This time I went through the same area on foot. I tried to hike along the line but this wasn’t always possible. 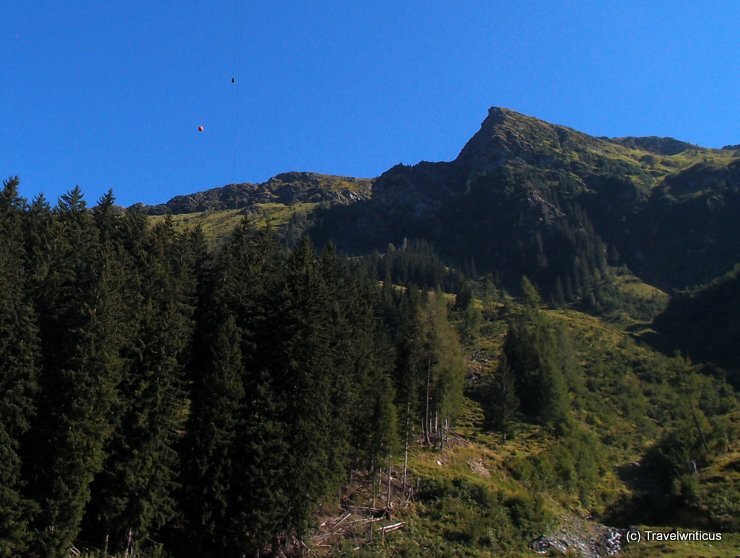 So I took this impression of the landscape along the Semmering Railway from a nearby summit. 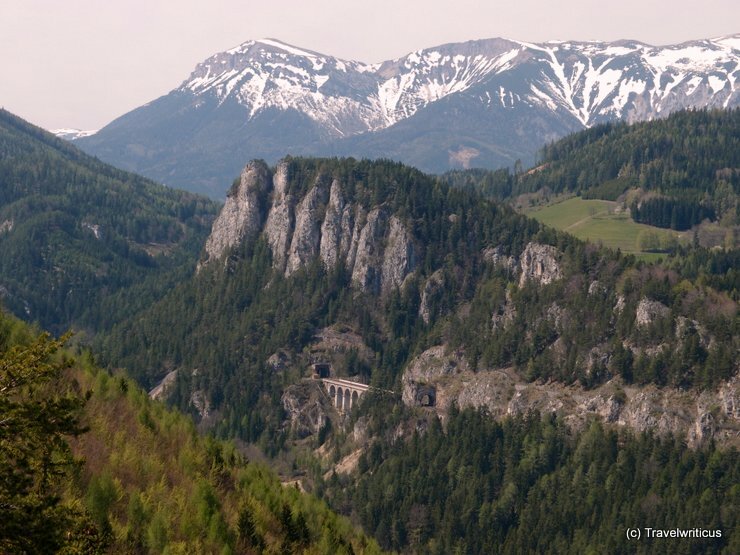 Can you see the small viaduct of the railway between all these rocks? 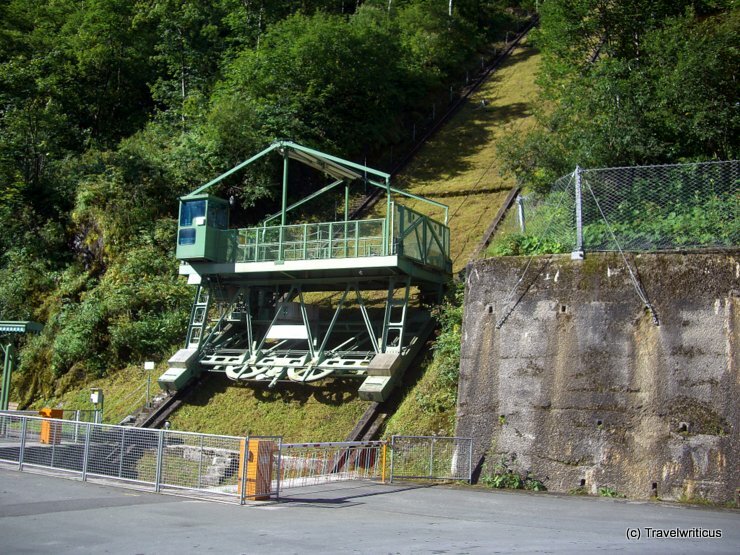 Do you know similar mountain railways? 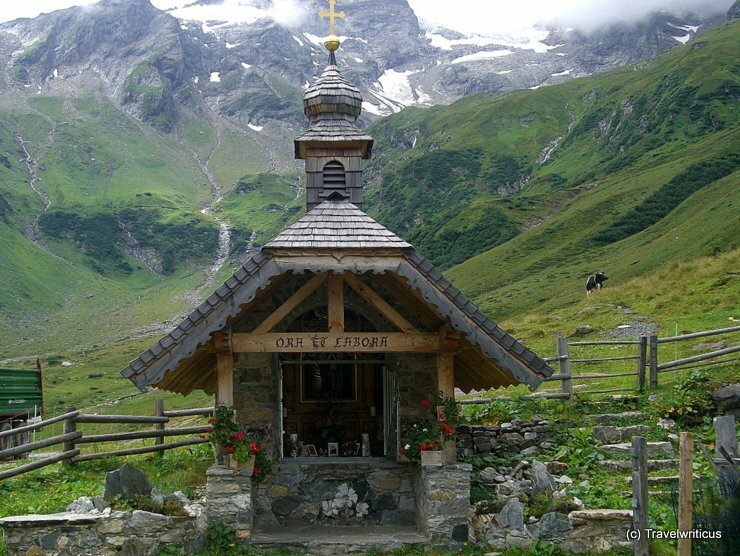 A chapel near the Wasserfallboden reservoir. 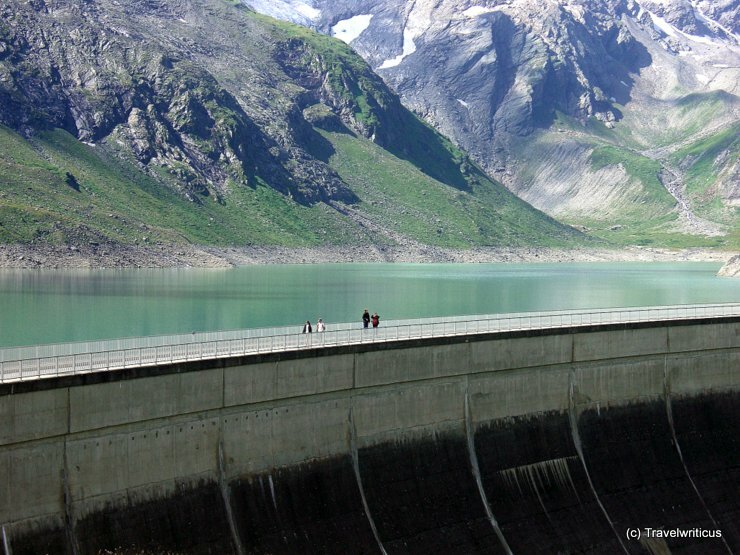 A nice piece of architecture in lovely scenery. Inside some inscriptions reminded me that life in such a beautiful scenery is pretty dangerous though.